We Got Skunked! A Rather Smelly Experience!! Ah, the joys of living in the country! 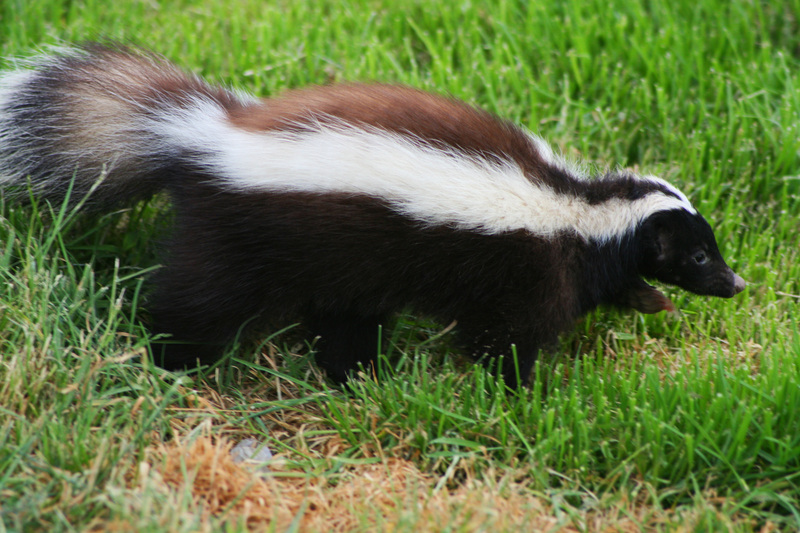 Tuesday (May 26), we had a smelly experience. We had to deal with a skunk. It sprayed (phew!) an area on the south side of our house. No one got directly sprayed, but the fumes permeated parts of the inside of our house. There is a lot of clean up involved. Clothing, bedding and towels have to be washed. Walls have to be deodorized. Plus, trips to the store for added supplies. It is quite an undertaking. Next > Why Does the Pepper Seed Take So Long to Germinate? Ugh! We have skunks too. Last summer there was a huge clan of them that lived under neighbors deck!